The students and staff at Memorial Junior High are proudly celebrating the 8th Grade Boys Basketball team’s 46 to 31 victory over Kenston Middle School on Wednesday, January 17th, which crowned them the 2018 WRC Tournament Champions! 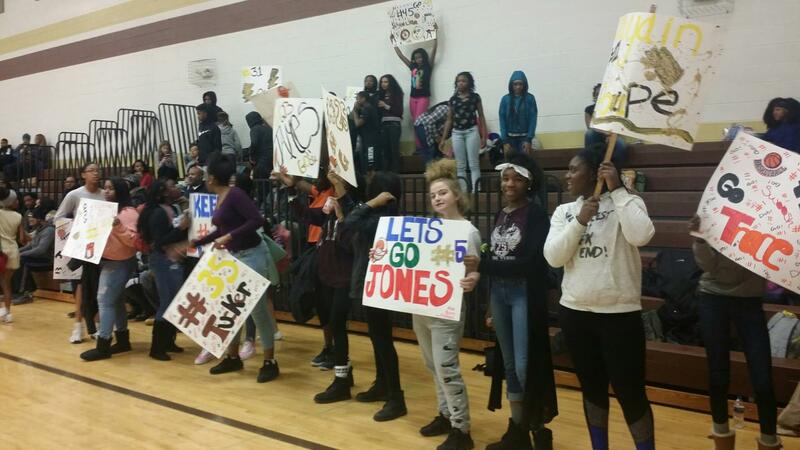 ‘Arc’ pride was on full display before tip-off, as students from the Memorial Student Council greeted the players with huge signs and loud cheers. Each team member was also recognized with a banner featuring their name and number. The overwhelming support from students, parents and staff energized the Arc players, as they faced a tough, competitive Kenston team, which pulled within a few points of Memorial at halftime. 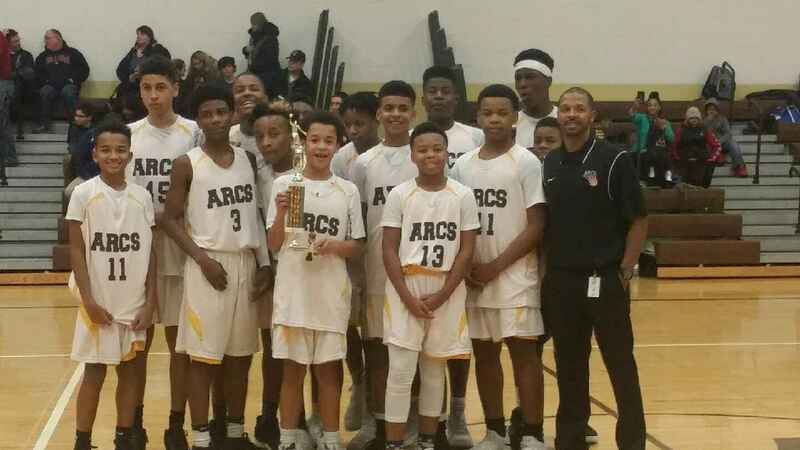 The back and forth game broke open for the Arcs in the 4th quarter, as the 8th grade boys surged ahead to gain a sizeable lead and secure a tournament championship for Memorial Junior High! The 7th Grade Boys Basketball team hopes to capture the momentum and winning spirit of the 8th grade team, as they prepare to play in the WRC Finals on Friday, January 19th. The SEL Schools proudly congratulate the 8th Grade Boys Basketball team on their 2018 WRC Tournament Championship. Way to go Arcs! !